Following our release of two of Friedrich Gernsheim’s symphonies and his piano quintets, we are now pleased to present to you the violin concertos of this composer. 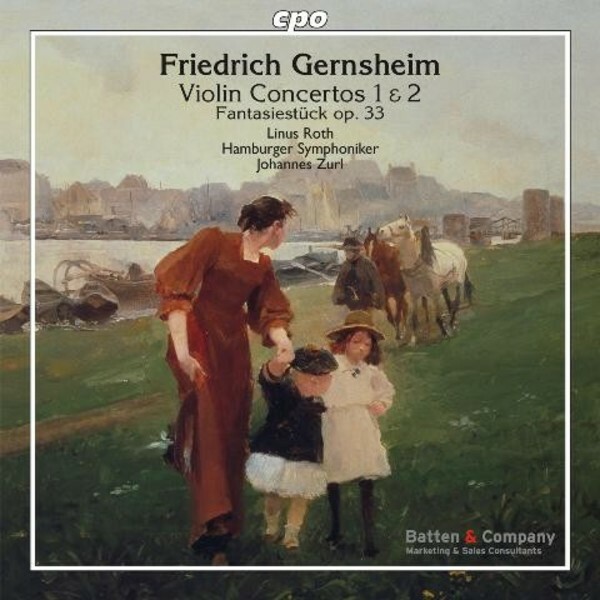 Very much in the spirit of German romanticism, with influences from Mendelssohn and Schumann too, and plenty of Brahms and Bruch, Gernsheim’s music is immediately familiar to the ear though unknown in its specifics. What is special about Gernsheim is his talent for beautiful, extended melodies of Brahmsian character incorporating a touch of Tchaikovsky. This recording is intended as the first step – and not only that – toward their rediscovery.